A version of this essay was published as part of my monthly newsletter a couple weeks back. In its own way, it commemorates African American History Month. Find other archives and join here to get updates like this first. Dr. King is likely the American thinker who comes to my mind more than any other. Not the populist who was culturally moderated over time into a convenient character for classroom posters. But the difficult and complicated and tortured man, the leader who was flawed and inspiring and masterful in so many ways. When a MLK quote rattles in my head, it isn’t his iconic, if tired, classic: “Injustice anywhere is a threat to justice everywhere.” Pulled from its context, that’s always seemed to me to be too universal to stir. Instead, it comforts, and I’ve found always found MLK misunderstood when he’s seen as a comforting. There was likely once a single language, first developed 150,000 years ago. That grew to as many as 100,000 languages, before we developed farming. Today there are 6,000 and by 2100, that might be back to as few as 500. Along the way, languages have emerged, influenced each other and continue to change. The title of the book is, of course, a reference to the biblical story in Genesis of the Tower of Babel. Following the Great Flood, humans speaking a single language plan to build a tower that can reach heaven. God destroys it, sets humans into an array of languages and spreads them across the world to keep them from conspiring to do something like that ever again. Find my notes from the book below. I was on the hunt for a few photos that could be appropriately sourced and shared from historical Philadelphia and, well, I kept finding ones I loved and wished were in one place. 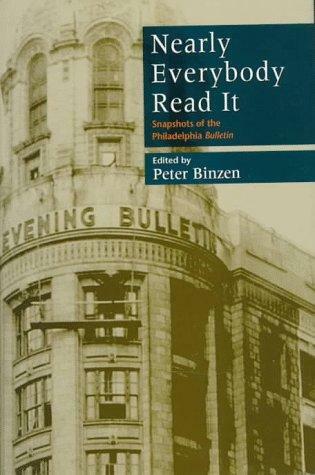 The importance, sway and influence of one of the world’s most dominant 20th century newspapers was the focus of the 1998 collection of essays about the once powerful Philadelphia Evening Bulletin, edited by its former education reporter Peter Binzen, who also wrote Whitetown USA. Dubbed ‘Nearly Everybody Read It,’ a riff off the paper’s legendary slogan, the 163-page book has nearly 20 essays from former Bulletin reporters and editors, including its first female and black correspondents. For 135 years, the family owned paper was a powerhouse among a rich daily newspaper tradition in Philadelphia. The Bulletin fundamentally failed to innovate, remaining an afternoon daily as circulation fell with growing TV news audiences, increasing transportation costs due to traffic and changing news cycles. The Bulletin failed to develop the revenue to stay competitive, including a premature sale of its nascent TV station, denying alcohol advertising and other funding methods that kept it lagging behind the Knight-Ridder funded Inquirer. The Bulletin resisted aggressive editorial reconfiguration, following the investigative spirit of the 1970s that soared the reputation of the Inquirer behind editor Gene Roberts, and pushed out its own innovative editor George Packard. The Bulletin came up short in following the suburban trend, having its 1947 purchase of the Camden Courier Post denied by the U.S. Department of Justice for anti-monopoly concerns was a large blow. As I often do when reading something relevant to the news and innovation conversations I so adore, I wanted to share some choice thoughts from the book. 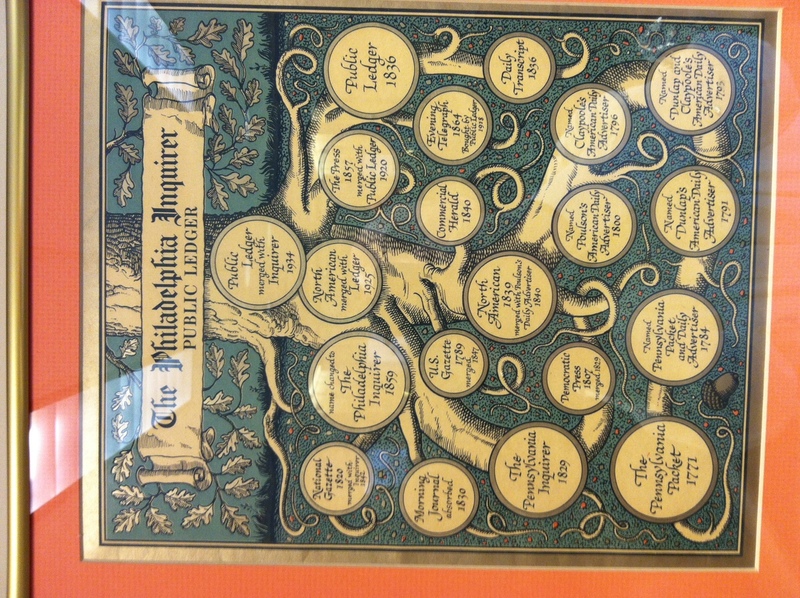 This Philadelphia daily newspaper family tree is framed in the Inquirer editorial board room at 400 N. Broad Street. Photo by Russell Cooke. Click to enlarge. There were a dozen or more daily newspapers in Philadelphia at one time, I hear. Trouble is, I couldn’t seem to find anyone who could name what all of those papers were. So I went and did some good old fashioned research — with some great direction from representatives of the following institutions. Check it out below and offer any criticism or comment — I’m certainly expecting that this is incomplete, so any other leads are appreciated! 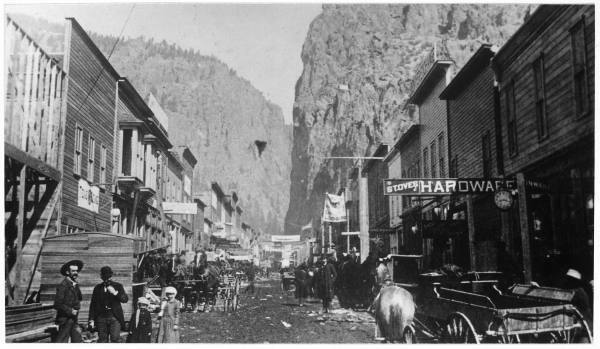 Metropolitan boosters — men employed in the late 19th century to encourage Americans to move west to burgeoning cities — have been of interest to me lately. Former Time and New Yorker journalist Calvin Trillin on why there is less drinking in journalism. He references this New York Times story on the changing face of big name journalists.